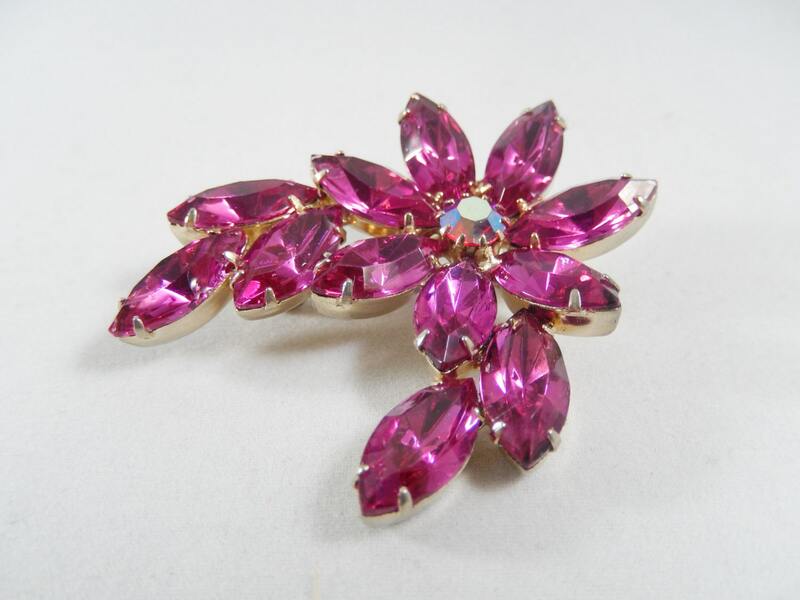 This is a vibrant fuchsia pin that is very sparkly. The flower has an aurora borealis, faceted and pronged, crystal in the middle of it and 5 rhinestones coming down the sides. 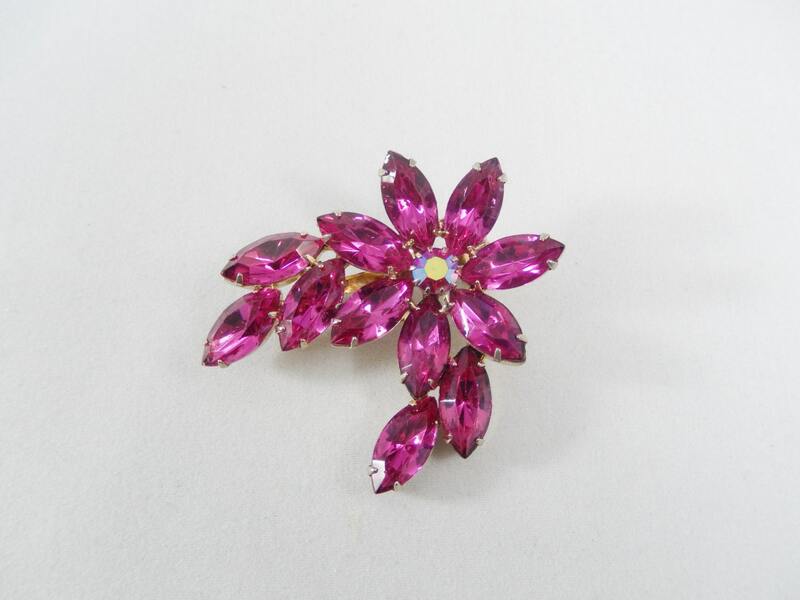 All of the fuchsia rhinestones are navettes, faceted, and prong set. 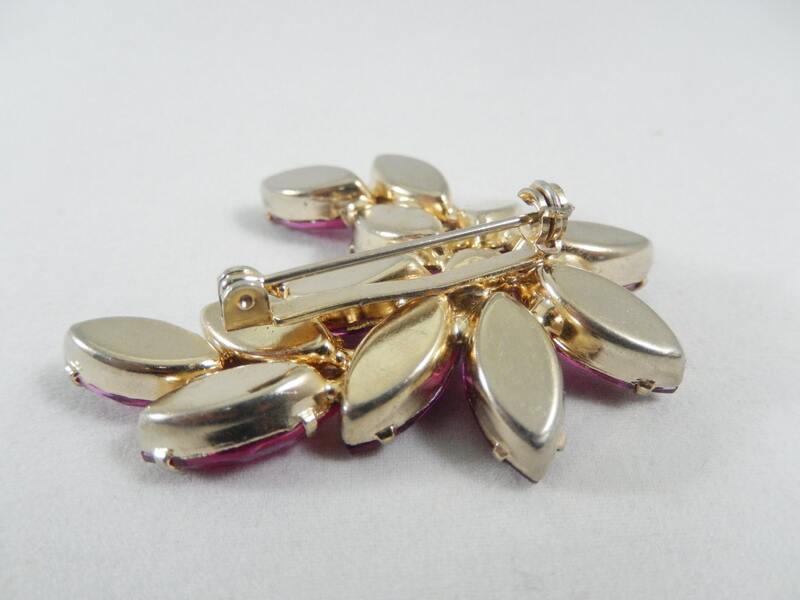 It measures 1 3/4" x 1 5/8" and the pin closure is straight and closes smoothly. The back is very clean with no tarnish. This is a pretty pin that will make you happy every time you look at it!